Transportation experts have warned that the holiday season normally sees a sharp rise in accidents involving trucks and smaller passenger vehicles, and it’s the cars that usually come off the worst, for obvious reasons. As Americans head to the shops to buy gifts, the roads become full of vans and trucks making deliveries, and, of course, motorists seeking the best deals they can find. According to lawyers, the major firms will deliver over 1bn packages during the period, and firms such as UPS, FedEx and the U.S. Postal Service take on an extra 150,000 staff to meet the demand. Being occasional workers, they’re not always trained to the usual high standard. And because of the sheer volume of work at this time of the year there is the additional risk that truckers may be spending too much time on the road, increasing the risk of fatigue-related accidents. And there is another problem. The trucking industry has a critical shortage of drivers, meaning that there are truckers on the road working into their 70, 80s and even 90s. This is partly due to the economic downturn. And the data make clear that older drivers are less safe than their younger fellows. Some 10 per cent of truckers on the road now are aged over 65 as company’s recruit retirees to fill the gap, reports CBS News. Its analysis finds a 19 per cent rise in accidents involving older truck and bus drivers in the last three years alone, with 6,636 such incidents involving retirees in 12 states between 2013 and 2015. And the CBS report suggests that road safety rules aren’t changing quickly enough to reflect the changing demographics of the drivers. It raises the question of whether there should be better screening of older truckers to ensure they’re still safe. And while information from the Department of Transportation reveals that the number of people killed in incidents involving larger trucks dropped by 20 per cent in the last ten years, in 2015 the number reversed that trend. The pay-outs awarded by juries to the families of victims have risen sharply, reports the National Law Review, and this means getting expert legal advice should the worst happen to you or your loved ones is absolutely crucial. 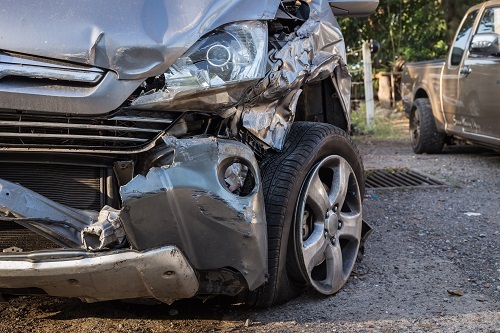 In 2014, an accident in which a Wal-Mart truck killed a man saw his children receive $10m in compensation, and there have been six or more cases of settlements reaching $20m since 2011. Indeed, the situation has become so critical that some insurers are pulling out of the trucking insurance market, and the cost of insurance for truckers and their employers is rising sharply. Yes, the best way to protect you and your family is to drive as safely as you can, keeping speeds down when congestion is high, and being aware of the potential hazard that large trucks may pose. But, bad things can happen even to those who do take all reasonable precautions. That’s where expert trucking accident attorneys come in. Mecklenburg County is something of a blackspot for trucking accidents, mainly because Charlotte is such a large transportation and distribution hub. So expert lawyers like Warren & Kallianos are on hand to help you in your hour of need.